The much anticipated arrival of Hurricane Irene meant rain and tropical conditions on Saturday preventing me from mountain biking. 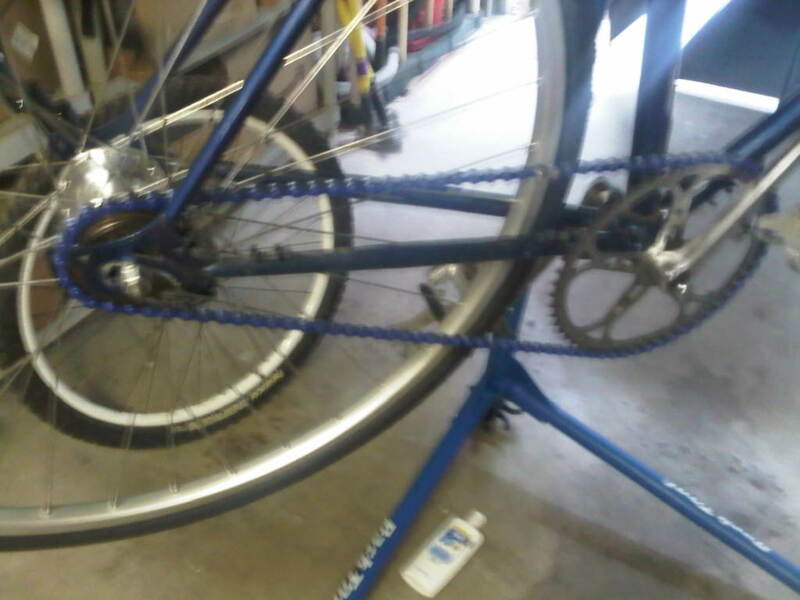 So the next best thing of course is to work on bikes. I spent most of my time on the Ross Riviera but I did switch out the pedals on the Lambert, too. Went out to the hardware store on an errand looking for a specific sized bolt for the rack on the back of the Ross but found the Hardware store was closed. They closed early because they were sold out of all the hurricane preparedness items. And all I wanted was a freakin' bolt! Then I went over to the Bicycle Goodie Shop and they gave me a few things to try I decided to get the largest freewheel cog they had, which was a 20t and I just happened to find a blue KMC singlespeed chain in parts bin while cleaning up the night before. Added my old Blackburn race and voila! I now have a new commuter! 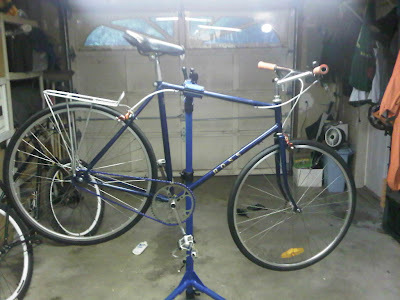 I just have to find some nice, used fenders and it will be sweet. Test ride up and down my road was awesome! 52:20 gearing is great! Between the bands of rain I tested the bike and it was sweet! The 52:20 gearing is still plenty fast and the bigger tires means I will have more confidence riding Pond Brook Road (dirt) then on my 23c tires. 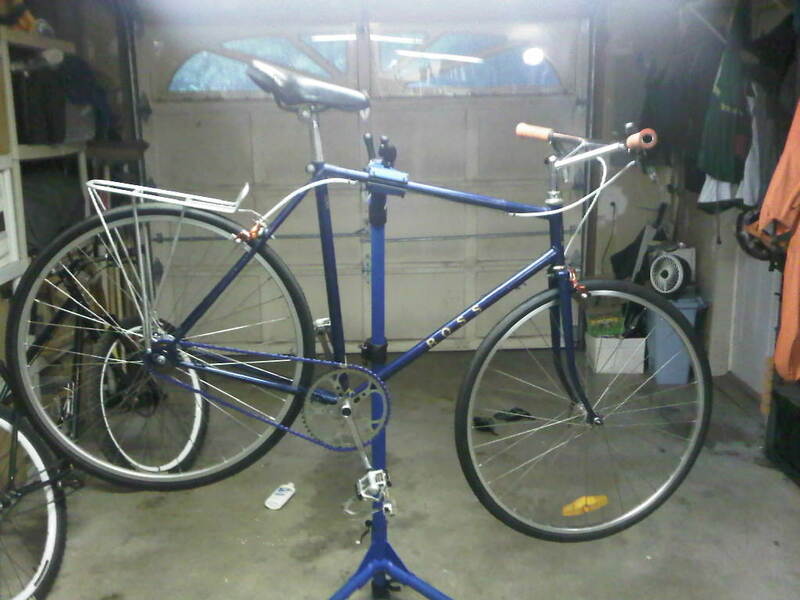 Just need to find some fenders and it will be rock solid. Your idea of preparing for a hurricane?